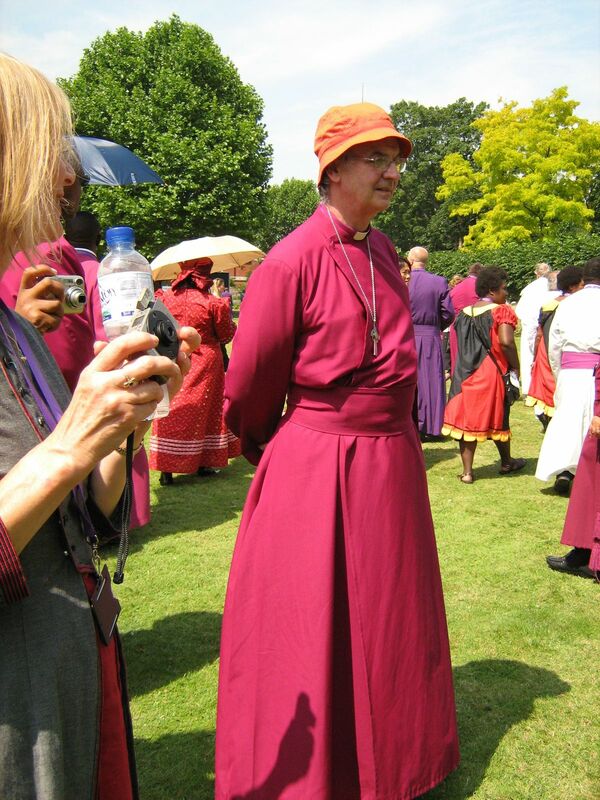 The ‘London Day’ is a traditional part of the Lambeth Conference. Alison really enjoyed it. I pretended to be a bit ‘cool’ about it – but I enjoyed it too. And we all did. 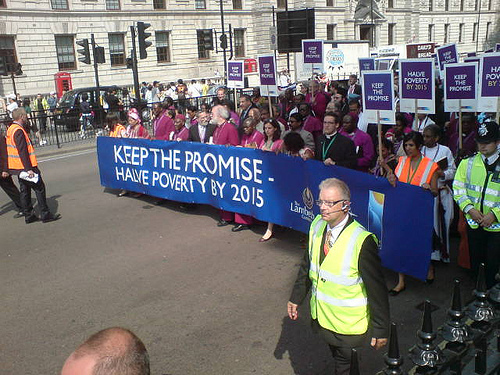 On the buses at 7.15 to have us in London in time for the great demo in support of the Millennium Development Goals. This is one of the issues which really brings us together. How could one not feel strongly about it when one is walking with so many bishops from the developing world? It was hot and the BBC News helicopter was above us filming the endless bald and grey heads. 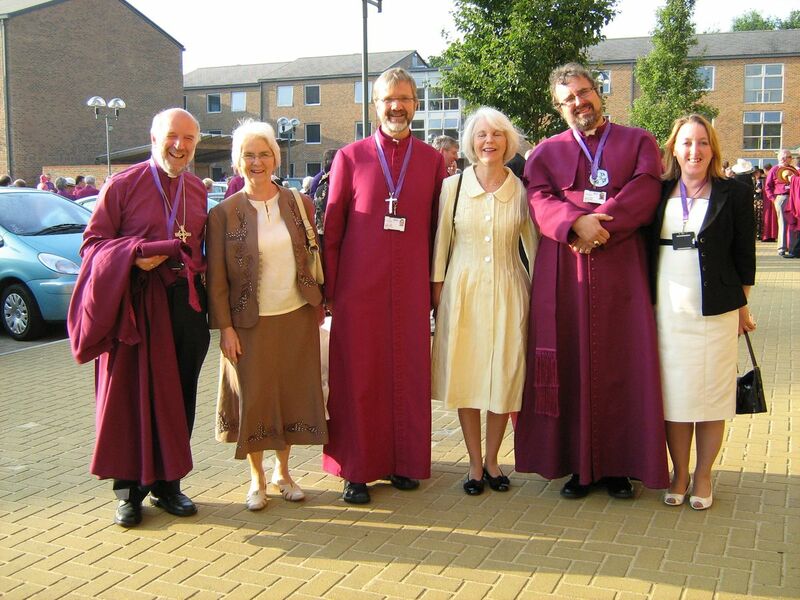 So we wandered along – 680 of us – in cassocks and pectorals accompanied by female spouses [those of us who are male, that is] dressed in clothes fit for a queen [of England, that is]. The journalists I think were counting us lest the Conference organisers might be faking the numbers. We pretended to ignore the protesters – who are becoming part of our landscape – and who wave their ill-written posters at us. I do not carry my glasses. At Lambeth Palace, we dutifully filed in through a little gate and into an Alice in Wonderland expanse of nine acres. As one who used to look after two acres of lawn, I can see that Rowan is pretty nifty with the ride-on mower and the strimmer on Saturday afternoons. 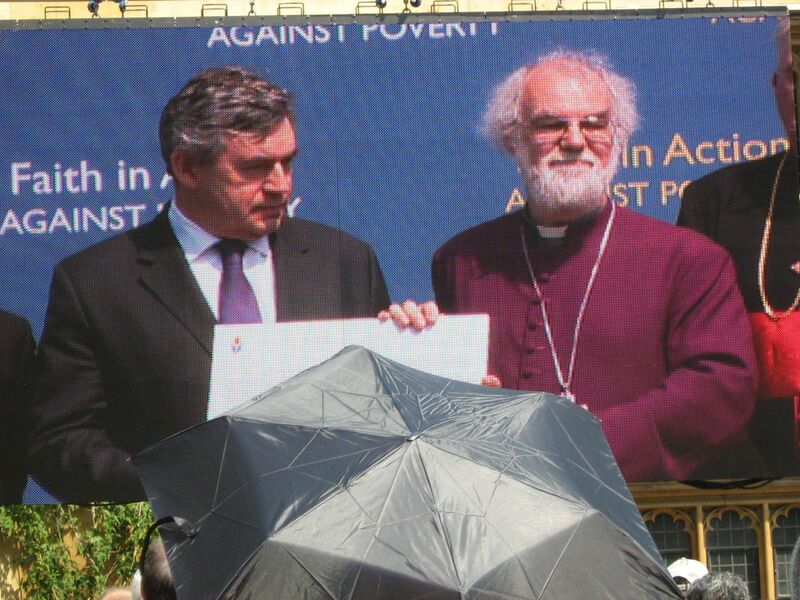 We listened to a barn-storming speech from Gordon Brown, who seems genuinely passionate in his commitment to this cause. Then, having marched for the eradication of poverty and hunger, we sat down to a beautiful lunch. And we talked and made more contacts, talked and made more contacts – and it was good. We seem very open to one another – uncomplicatedly unreserved in explaining to another bishop who asks why we feel as we do and how the future looks. If that can find its way through the Indaba Groups we may have a future after all. 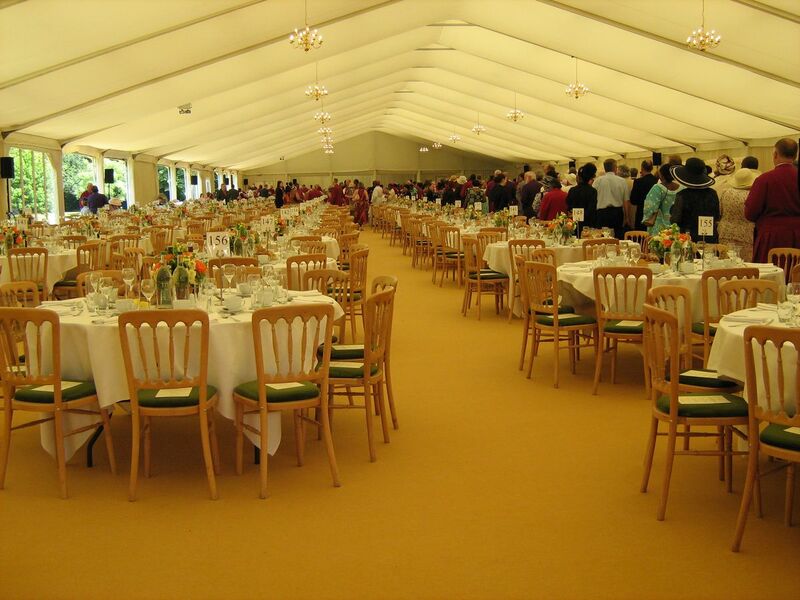 After lunch, having stood in line to use the Igloos, we headed off for our second palace of the day for the Buckingham Palace Garden Party. We took tea and queued up for the rather magnificent loos – and ate ice cream and listened to the bands and queued up for the loos just to see if they were as palatial as they were the first time. I flushed experimentally just to see if they would play ‘Rule Britannia’. The Queen is just amazing – she spent over an hour greeting and talking her way through the crowd before she got her cup of tea. As always I am fascinated by the power of royalty – we press forward to see but aren’t quite sure why. We watch as in a zoo, not quite sure which side of the bars of the cage we are. And we queued up for the loos again just to be sure we wouldn’t get caught short on the way home. Then as the shadows began to lengthen, we headed back – 38 busloads of snoozing bishops ‘n’ spouses. 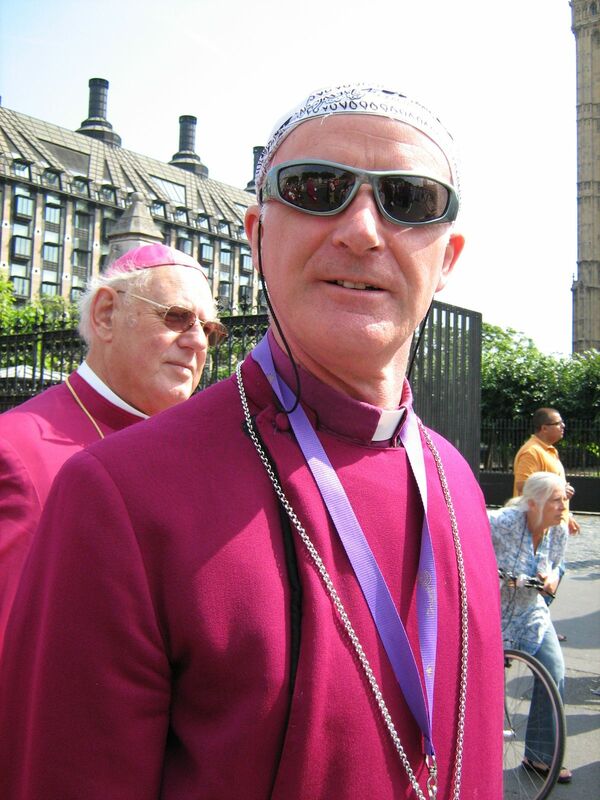 What is it about Scottish Bishops and summer headgear? Couldn’t +Brian and +Bob come to an agreed policy? Just please tell me they didn’t wear those headcoverings when they met Royalty! Even Hanoverians deserve better! 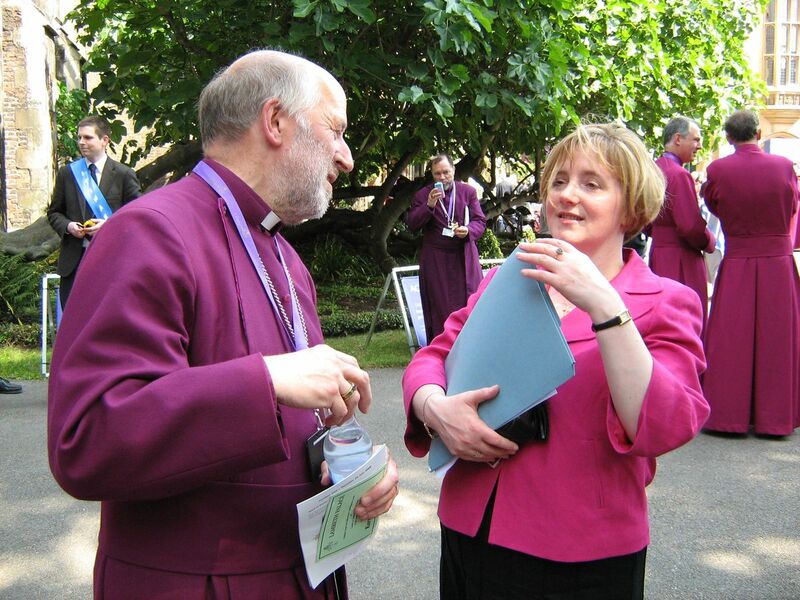 Lorna gets the prize for best looking in episcopal purple, while +Brian steals the show with bravest use of orange. Who knew you’d be writing the ‘home and fashion’ blog for Lambeth?? Clearly a niche market worth exploiting. This is a great example of what a blog (oops – almost omitted the “l” there!) can do – thanks for a hugely entertaining account. Kudos to +Bob for that headwear (is it a Buff™ ? )I thought that was Lorna! I saw a photo of her on either the main lambethconference.org or the Flickr page. 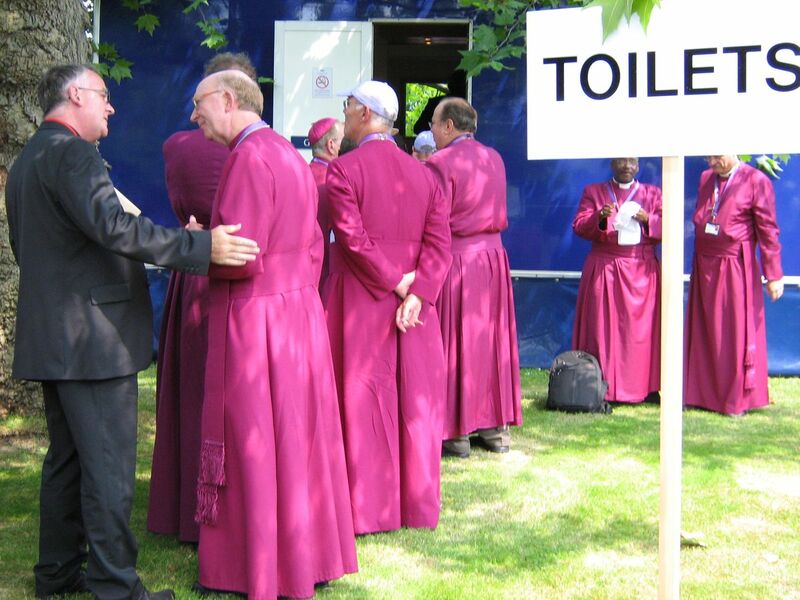 The queue for the loos photo has me wondering – indoor plumbing or the alternative?? ?